About Us - Welcome Care, Inc. - Welcome Care, Inc.
For many, home is the most comfortable place of all. Especially following a stay in the hospital, having the love and support of family—in familiar surroundings—can enhance the healing process significantly. At Welcome Care, we proudly provide health care at home, whether it’s in the house you’ve lived in for years, senior housing, or in an independent or assisted living facility. At Welcome Care, we believe wholeheartedly in the power of the individual, the importance of relationships and the value of respect and dignity to everyone at every stage of life. Our goal is to create a positive difference in every patient’s day, to make a personal connection, and to create memorable moments that enrich the lives of each of our patients. Our patients can’t do it alone, and neither can we. At Welcome Care, we know how important and valuable our partnerships with health care professionals are. We want to help make your jobs easier, just as you do for us. Unfortunately, what home health care is—and how it can benefit the patient as well as the patient’s family and loved ones—is widely misunderstood. At a time in life when exceptional care is needed most, we at Welcome Care proudly provide home health care that can be most beneficial for everyone involved, starting with our patients. Our Caregivers – are utterly committed, highly qualified insured by Welcome Care and fingerprinted along an extensive criminal background check, in addition to multiple background checks. Each staff member has been thoroughly screened, trained and participates in regular in-services program and is experienced in handling the health care needs of those with limited mobility, while maintaining the highest standard of care, dignity and integrity. quality improvement measures throughout our Agency. Welcome Care understands that patients and families have the right to choose their home health provider. To have the privilege of caring for you or your loved one, we recognizes that it must stand alone with respect to quality of care and your experience as our customer. We believe that individuals’ quality of life is impacted by their ability to remain independent in their own surroundings with the support of family members and community resources. 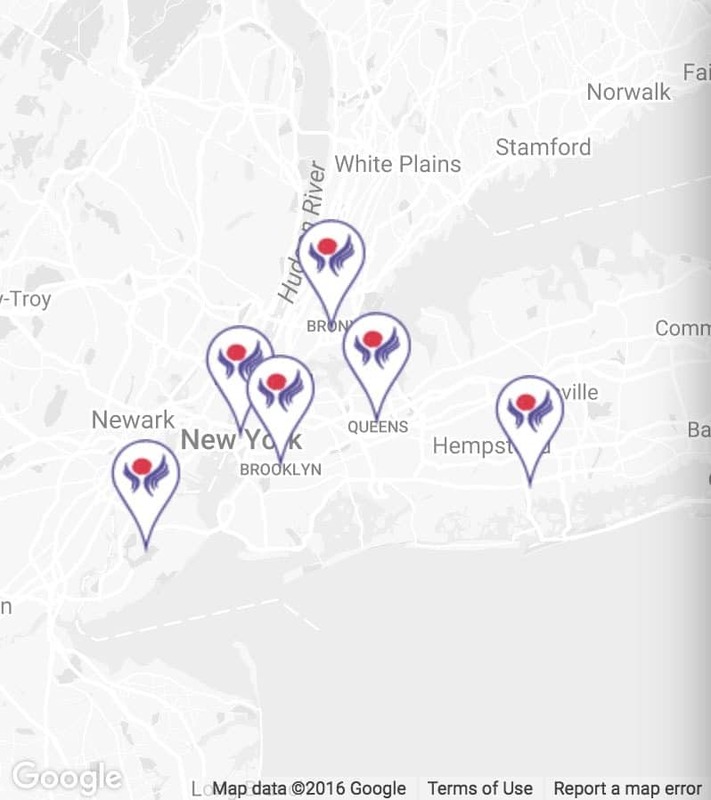 Our nurses and therapists travel to all areas in Brooklyn, Bronx, Queens, Manhattan, Staten Island and Nassau, NY. Your physician will order home health as needed – usually following surgery, injury, or diagnoses of an ailment. Yes, most services are covered by either Medicare, Medicaid or private insurance. How does in-home care cost compare to assisted-living or nursing homes? The cost of home health care services is significantly less than any out-of-the home option. Feel free to speak with a case manager for specific information. Do you provide care in facilities also? Yes. Beyond in-home care, Welcome Care also provides care to patients that live in Assisted Living and Board and Care facilities. Yes. Welcome Care is licensed with New York State Health Department and is also Joint Commission accredited. How do you select your Home Health Aides / Clinical staff? We consider: experience, compassion, and ability. We also carefully screen all employees for criminal records and multiple background checks. And of course, we check all references thoroughly. How long does it take to get a nurse or therapist? Skilled care usually starts within 24 hours. What if my Home Health Aide is sick or goes on vacation? Another experienced, caring home health aide will seamlessly cover the shift. And of course, we inform clients of any changes prior to sending a substitute. Why should I use your service instead of someone in the newspaper? Welcome Care is locally owned, in business for over a decade and provides superior customer service.